Let’s talk about how you can close more deals. First and foremost, I think most people think that prospecting, following up, doing sales calls, and closing deals can be pretty daunting, right? Most people don’t like to think of sales. “Oh, I’m just not good at sales” is something I hear all the time. In fact, I’m still like that, to this day. I tend to avoid wanting to do sales calls, but you kind of have to if you’re running a company, especially in the early days. You have to close the deals. In the agency situation, like with Single Grain, if it’s a big deal, I’m going to come in and close it myself. But the question is—how do you go about closing deals if you’re just starting out? If you’re starting out, I think that the one thing you have to realize is that you have to look at your sales activity. How many deals is it going to take for you, or how many calls do you have to make, to eventually close a deal? Then you can work backwards. Make a list of your sales activities. What you can do is figure out, on average, how many proposals you have to send before you close a deal. For example, let’s say I close at 25%. That means that I need to send out four proposals to close one deal. Well, how many discovery calls do I need to get on to eventually get to one proposal? Let’s say 1 in 10 calls that I get on actually results in a closed deal. So, to close four deals, I need to speak with 40 people over discovery calls. But how many prospects do I need to reach out to in order to get one discovery call? Let’s say 5% of my total calls will lead to discovery calls. In this case, that means I need to reach out to 800 prospects every month to get four closed deals. There are about 20 weekdays in one month, right? That means each and every day I need to reach out to 40 brand new people and then we also need to follow up with old clients or prospects, too. Now, let’s say you’re starting out fresh and you don’t really know how you’re going to end up converting. Let’s say you are actually not that good at closing yet. In fact, let’s say you convert at 10%. You convert 10% of your proposals into a closed deal, 10% of your discovery calls will turn into proposals, and 5% of your prospecting will turn into actual discovery calls. That means that instead of having to reach 800 per month, you actually have to reach 2,000 per month. That means you effectively have to send 100 messages per day. Which is why prospecting is hard. 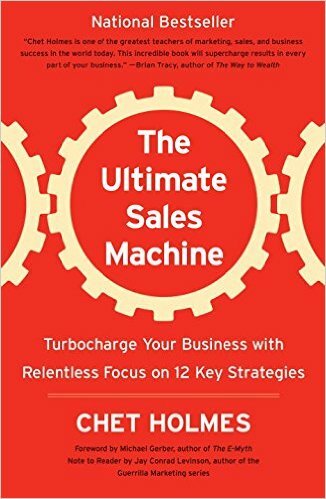 One book I would recommend reading is The Ultimate Sales Machine. In this book, there’s a concept called your “dream 100.” In other words, who are your 100 dream clients? Well, you can prospect for them by setting filters with SaaS sales software (like LinkedIn), or you could have sales development representatives reaching out. More likely, it’s going to be you doing it. Ideally, it’s you and your business partner tag teaming your ideal leads with hand-to-hand combat techniques. 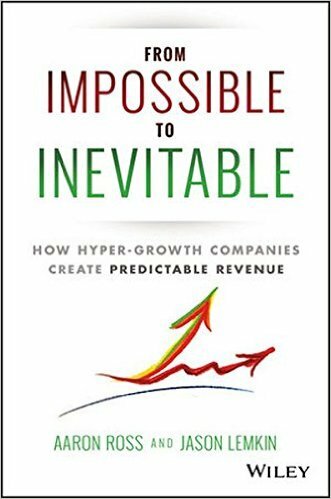 I would also recommend reading From Impossible To Inevitable: How Hyper-Growth Companies Create Predictable Revenue by Jason Lemkin and Aaron Ross. Jason Lemkin is the founder of SaaStr, which is one of the biggest software as a service (SaaS) conferences in San Francisco. I’d recommend reading that book and all of Jason’s articles on software as a service. Those two books are going to be gold for you, especially if you’re first starting out with sales. Then you just keep doing it over time and you’re going to get used to it. I would also recommend supplementing your sales efforts with things like inbound marketing where you’re building goodwill with people over time. You’re doing YouTube videos, you’re doing Facebook Lives, you’re creating a lot of content out there. You’re going out there, you’re speaking at events, you’re doing podcasts, and you’re creating all this content. That’s going to take a lot of time to get that going, but ideally you get that going so that a couple years from now, you’re not going to have to rely completely on sales and ads. 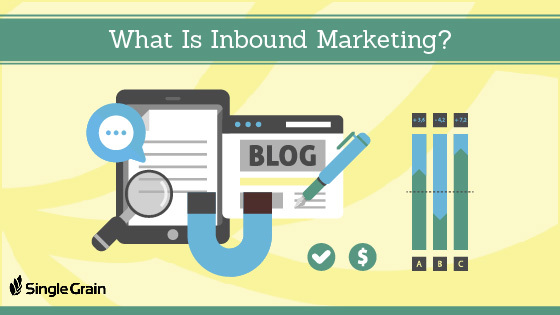 Thankfully, the majority of the leads that we get are from inbound marketing. We get them from podcasts and we get them from doing things like this. Yes, actually doing Facebook Lives like this and rebroadcasting these or re-targeting our audience helps a lot of people who are on the fence make a decision and commit to work with us. You can definitely do the prospecting thing, but you can see that having to send out 100 brand new emails per day and trying to personalize each and every one of them can get really tiring. So as soon as you can, I would recommend delegating the prospecting to two other people so that you can compare them side by side, and then perhaps you can focus on closing your best prospects. Eventually, you can hand off the closing to the other people, too. At that point, you just have to focus on growing the business and making the right hires. There are so many different tools out there. Use tools like SalesforceIQ or some kind of CRM, like HubSpot CRM. I highly recommend using Mixmax to follow up with people automatically. You can see who’s opening emails, when they open it, where they open it from, how many times they open it, etc. Long story short, everyone I’ve interviewed on Growth Everywhere gets their first 100 and even 1,000 customers by doing hand-to-hand combat.